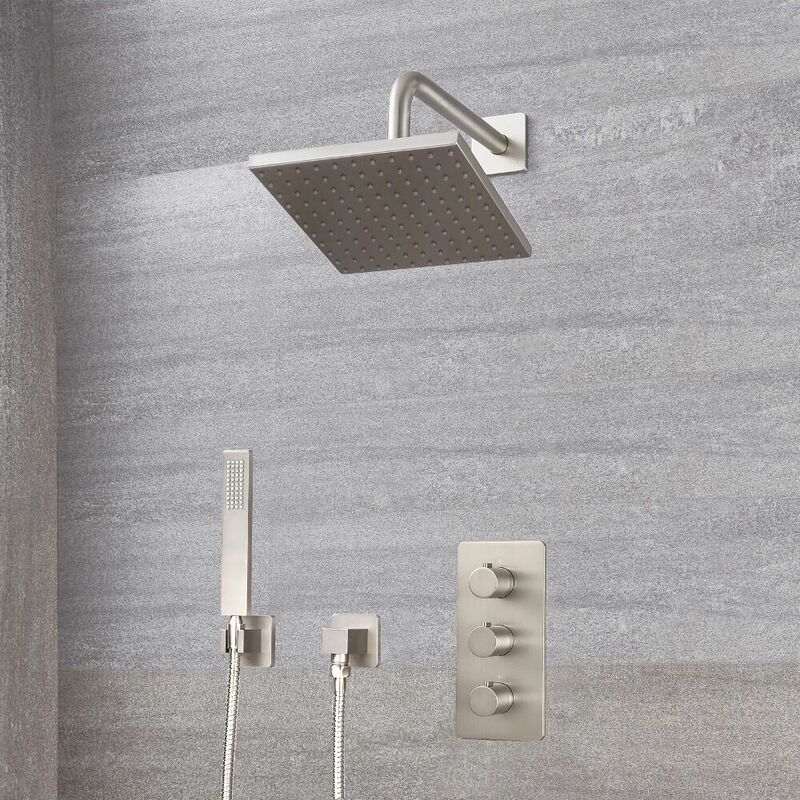 Add a touch of designer style and practicality to your bathroom space with this Arcadia thermostatic shower system with 8” shower head and hand shower. 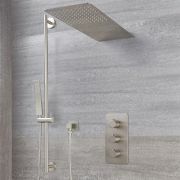 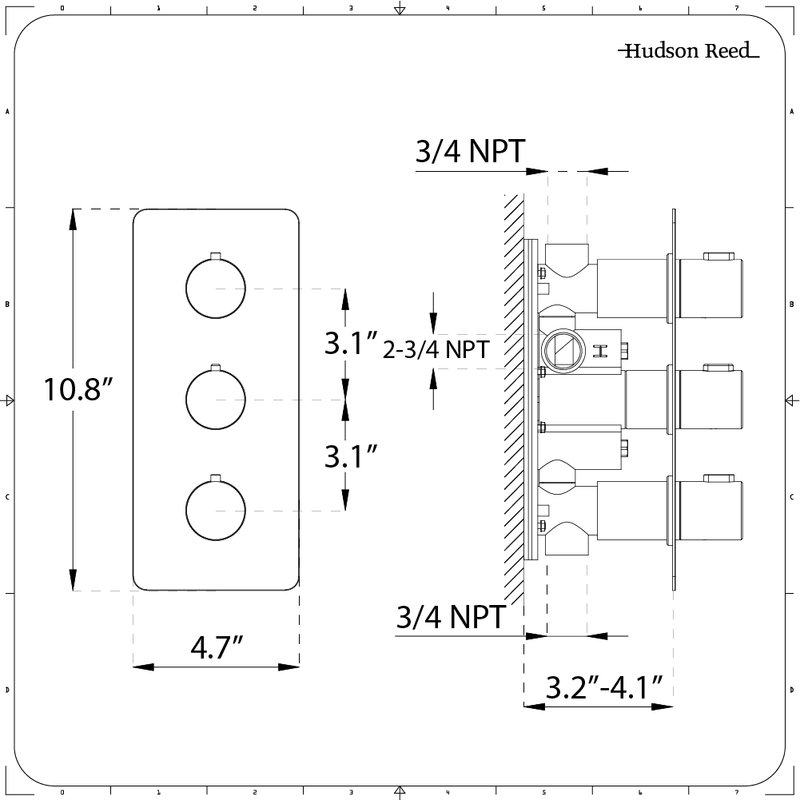 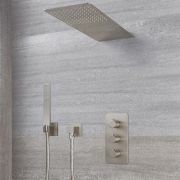 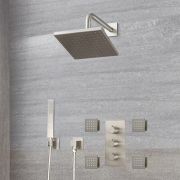 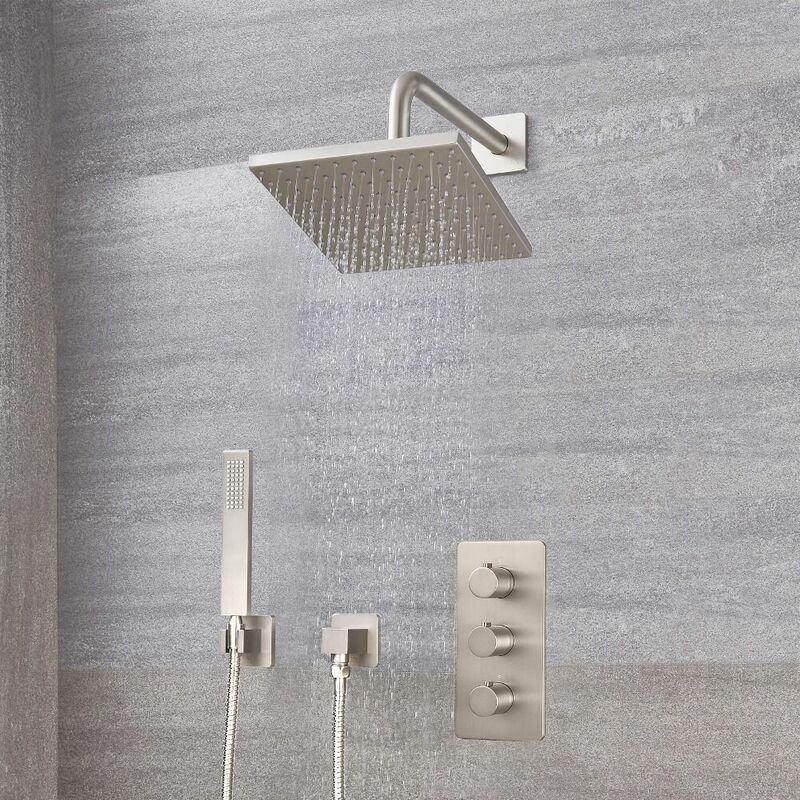 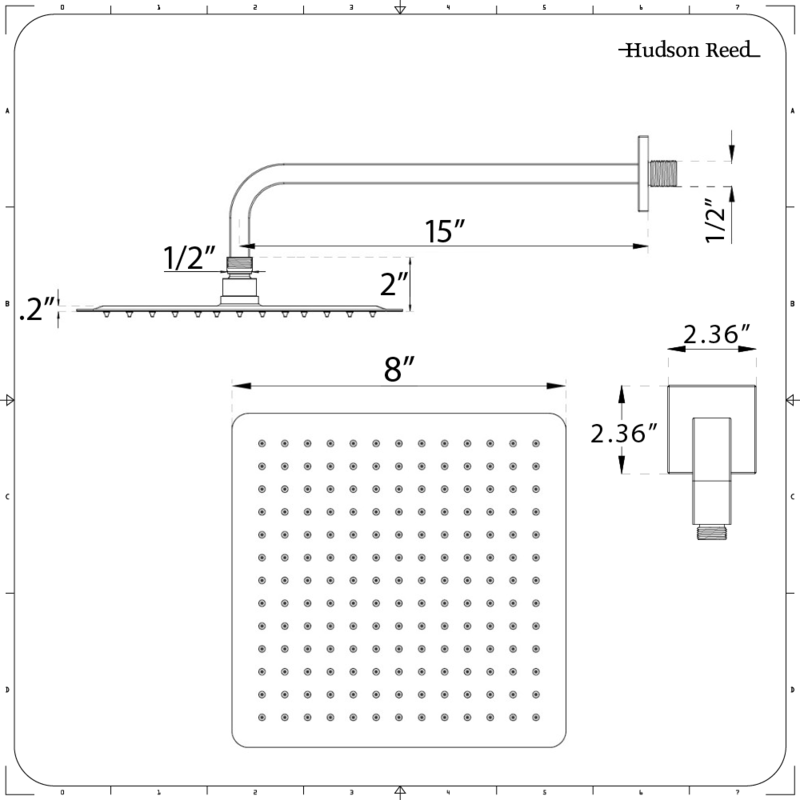 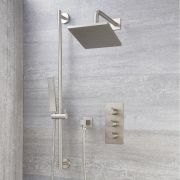 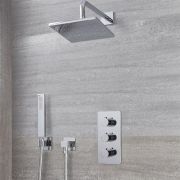 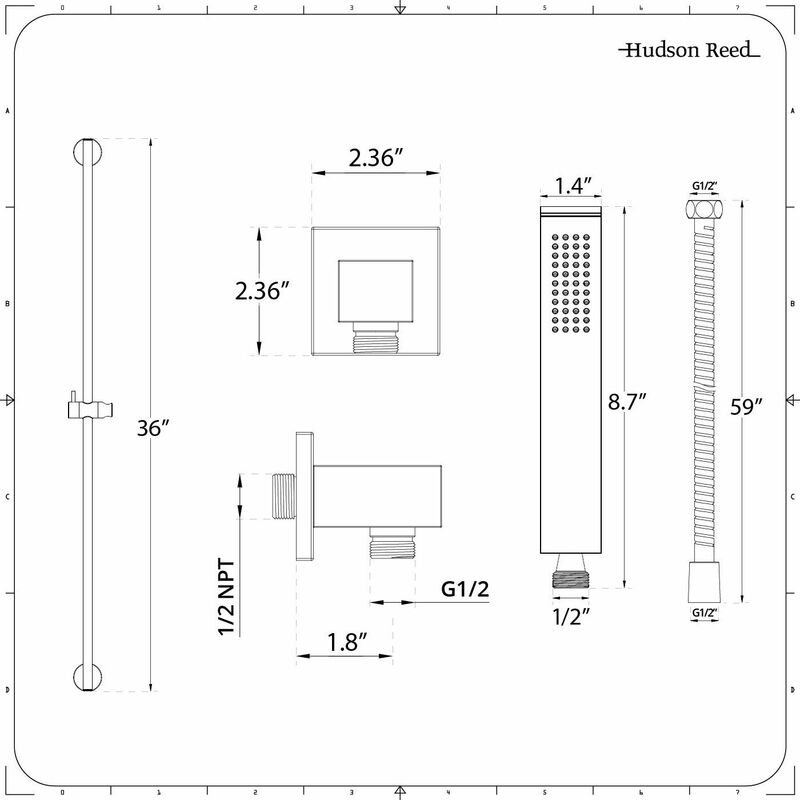 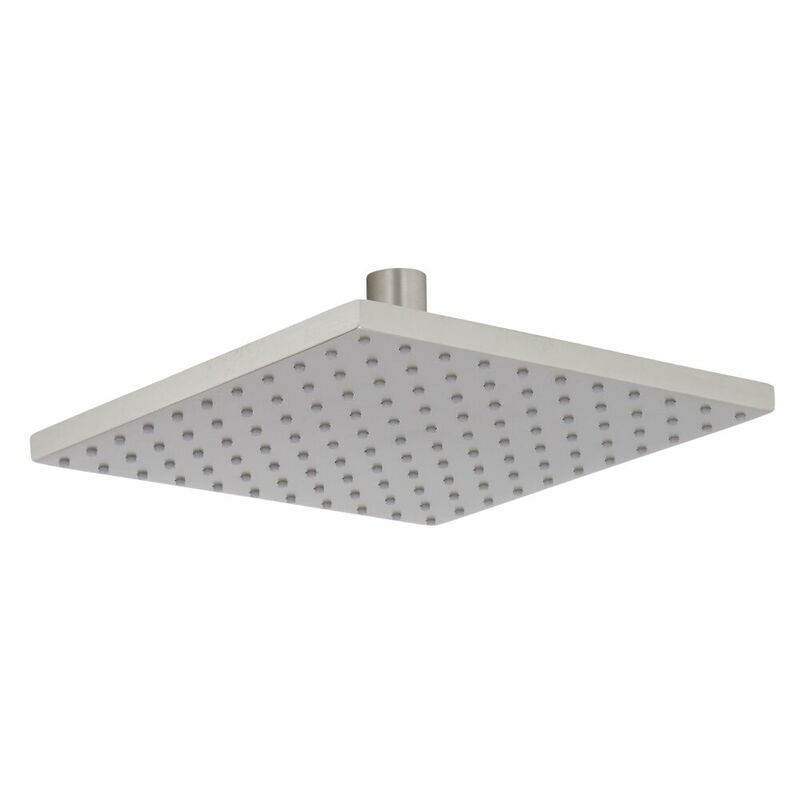 The shower system features a manual valve, outlet elbow, shower arm and parking bracket, as well as the previously mentioned shower head and hand shower, along with a 59” shower hose. 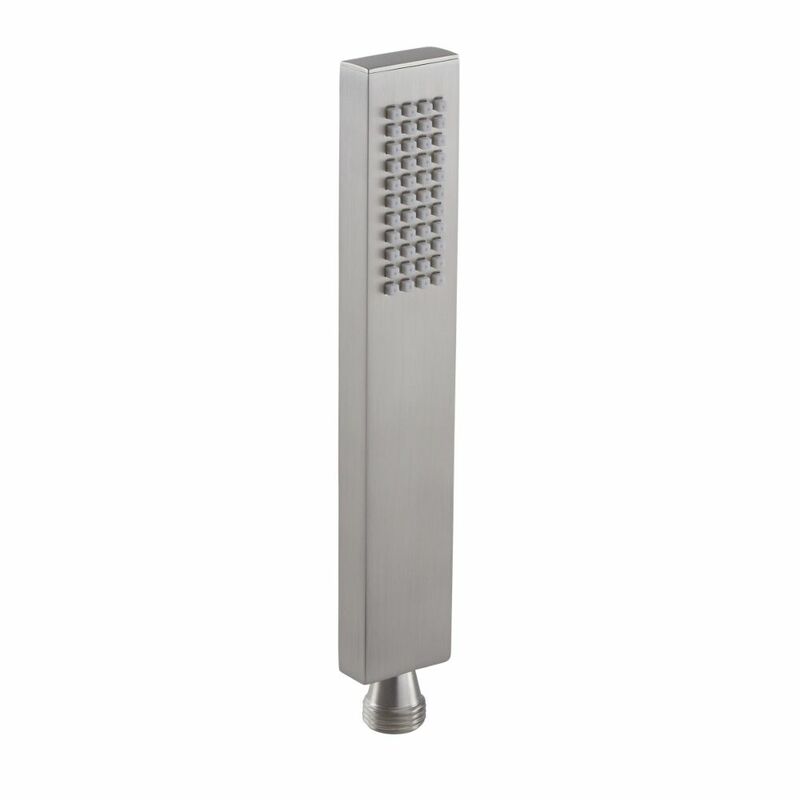 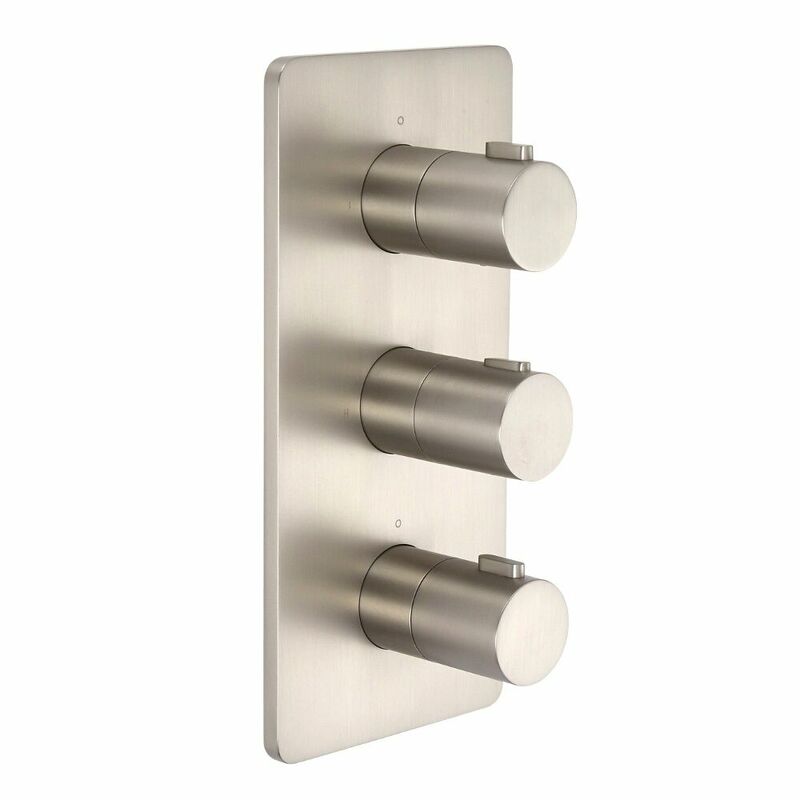 Each included component is constructed from solid brass to guarantee outstanding durability, and sports a beautiful brushed nickel finish that is certain to enhance any surrounding décor.